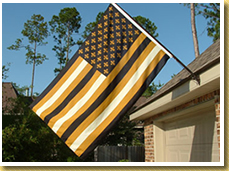 We are introducing the American Black and Gold Flag in response to your requests. 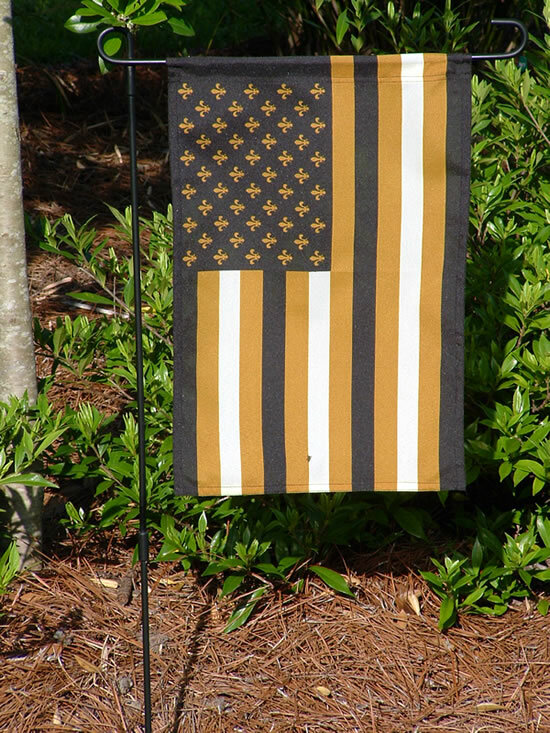 Drawing inspiration from our American Mardi Gras Flag, we selected 50 gold fleurs de lis on a field of black to compliment 13 stripes of black and gold with bisque used to complete their unique array. 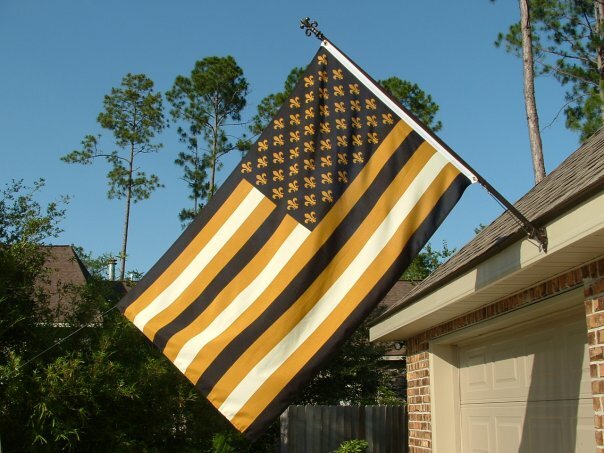 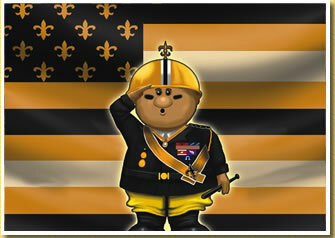 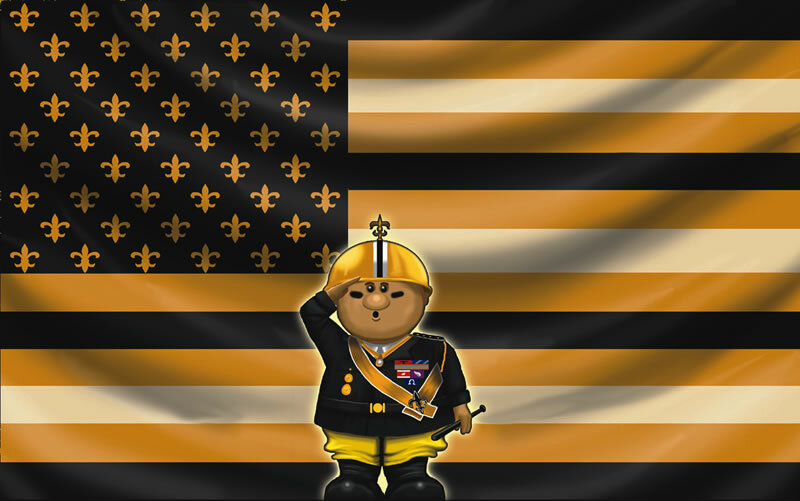 We're hoping that the American Black and Gold Flag will evoke thoughts of a rocking streetcar ride down Saint Charles Avenue, relaxing on a bench in front of Saint Louis Cathedral, and 'New Orleans-style' second-lining to When the Saints Go Marching In. 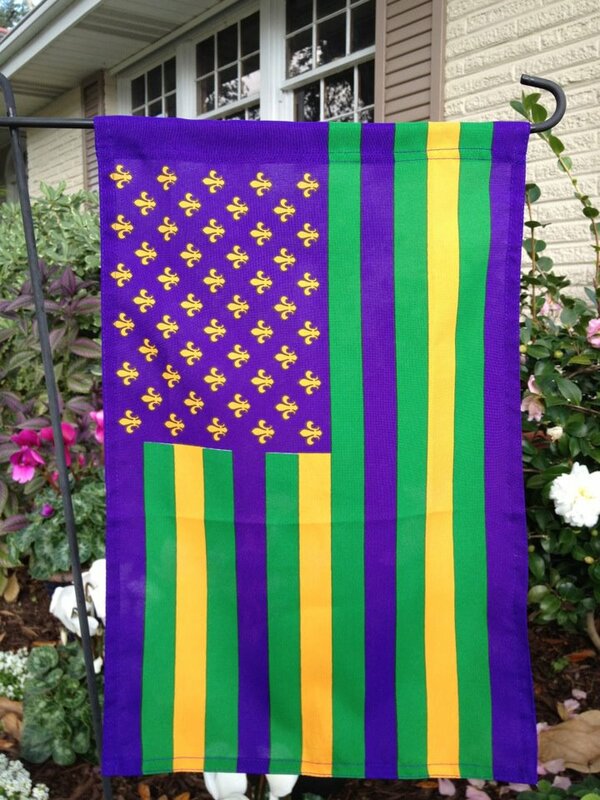 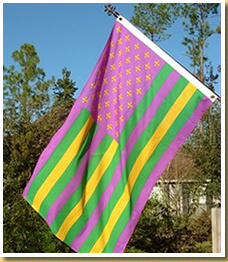 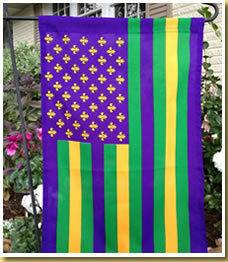 Our 3'x5' American Mardi Gras Flag is made of durable polyester and has two brass grommets for attaching to a traditional flag pole. 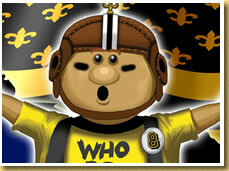 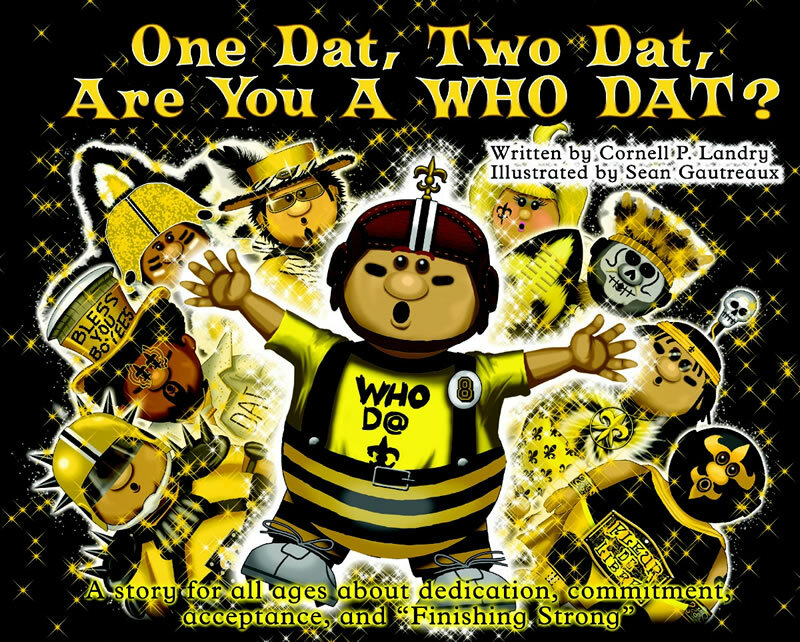 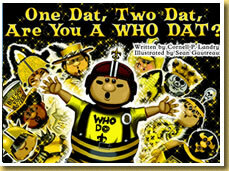 One Dat, Two Dat, Are You a Who Dat? 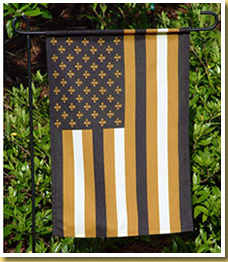 Click here to read more American Black and Gold Flag News.